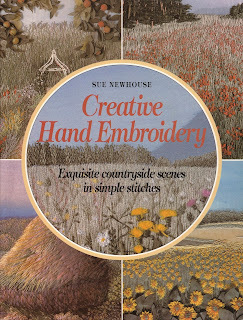 Many years ago, I came across Sue Newhouse's Creative Hand Embroidery. I then looked around for an idea to use the techniques in a work of my own design. When a friend showed me a photo she had taken while holidaying in Tuscany, I knew I'd found a good subject for my work. However, while I knew what I wanted to do in the foreground, it took me ages to figure out how to do the background and the stone building. 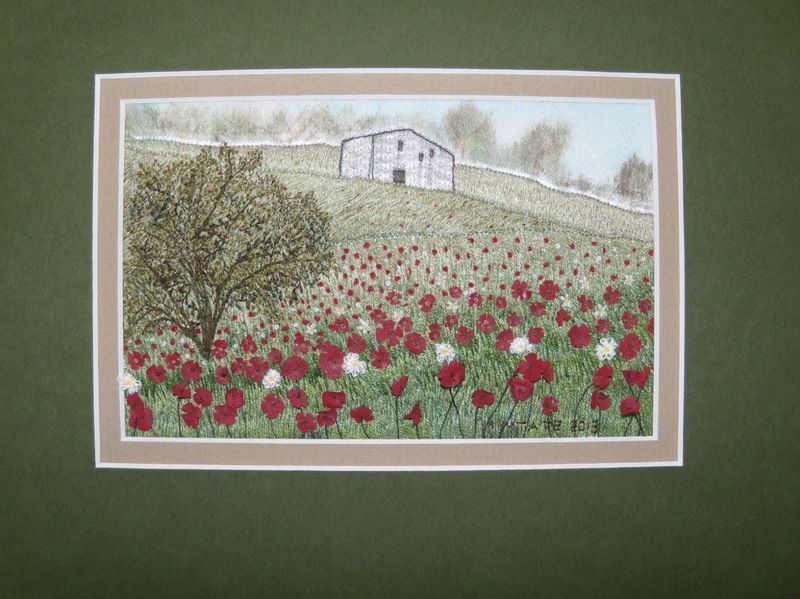 I eventually solved those issues (I drew the background trees and stone building with water colour pencils, rows of running stitches give the stone effect for the building and a few small straight stitches for the door and windows) but had just started stitching the grass when I started having problems with my hands. So once again it got put on hold. I enjoyed handing it over to my friend recently. She didn't know I'd been working on it, so I think it was a bit of a surprise. 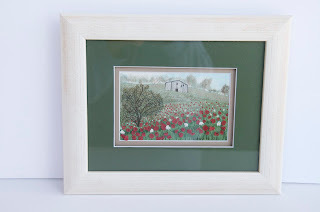 What a lovely piece, and made all the more special as it will be a memory of a wonderful holiday for your friend. 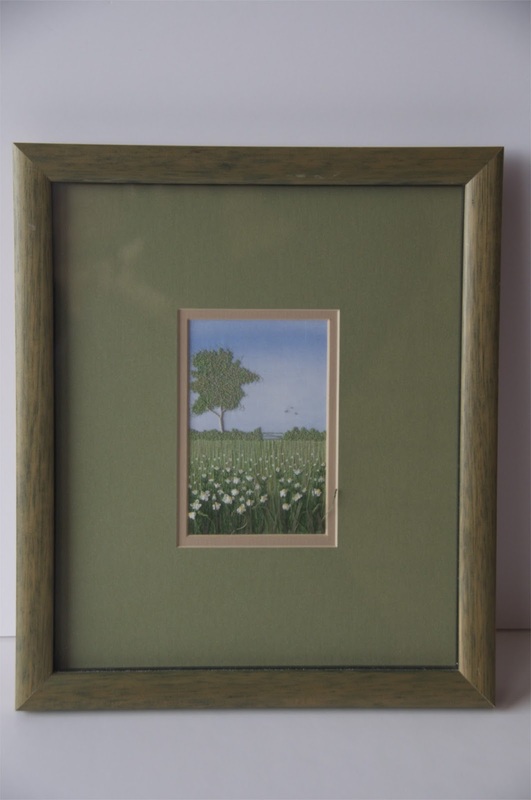 The daisy field is great too. It is a very good book.